I want you to imagine a dilapidated but colourful radio station studio, nestled in verdant Colombian jungle and protected overhead by a dense canopy. Inside, a man speaks into a microphone. He strategically omits his name from his broadcast for fear of an armed group active in a village nearby. Colombia has been at war for 60 years. It is one of the longest wars in modern history and is perpetuated by poverty, political underrepresentation and a lack of access to healthcare, education or land rights for rural people. In the mid-1960s, armed militias emerged from both ends of the political spectrum in these rural areas, many joining the FARC – the Armed Forces of the Republic of Colombia, the largest leftist rebel army in the country and some joining hard-right paramilitaries with corrupt ties to state security forces. In this context, the history of community radio runs deep in Colombia. In October 2016, former-President Juan Manuel Santos signed an historic peace agreement with FARC. The agreement stipulated a commitment to media reform and community radio projects “in their production and dissemination of content to foster a culture of peace”.Today, some 450 internationally recognised community radio stations operate throughout rural and regional Colombia, actively opposing the armed conflict. 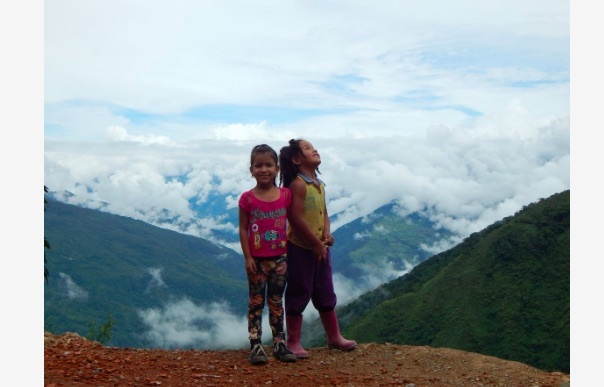 Radio is a cheap and relatively accessible medium for most rural-dwelling Colombians in areas with poor infrastructure, no internet or electricity access. Inexpensive, battery-powered radios become a key source of information. Community radio stations in Colombia date back to the early 1940s. Grassroots movements for peace used radio to protest against the treatment of rural farmers and poor families and to whistle blow the activity of illegal armed groups in their communities. In her book Citizens’ Media Against Armed Conflict, Clemencia Rodríguez highlights the significant role local media projects have played in networking grassroots organisations for peace in Colombia and in disrupting armed groups’ recruitment of young men. However, some stations are highjacked by armed groups and religious authorities with their own motives. Radio is a powerful medium. Community radio stations and grassroots activists often become targets of armed groups, who see media projects as attempts to dissuade local people against their violent ideologies. In the post-peace agreement phase, it is critical that the international community, the Colombian Government and non-government organisations work together, to afford security measures to local radio stations and grassroots media workers. According to a 2018 investigation by Reporters Without Borders (RSF), Colombia is still one of the most dangerous places in the world to be a journalist. The World Press Freedom Index situates Colombia at a dismal 130 out of 180 countries. At most risk are those journalists situated in rural zones, where clashes between armed groups and drug cartels are frequent.The peace agreement in October 2016 saw a ceasefire and demobilisation of record numbers of FARC troops. However, other armed groups with similar ideologies to FARC remain active, such as the People’s Liberation Army, as well as right-wing paramilitaries and drug cartels. According to Human Rights Watch, right-wing paramilitaries in Colombia are responsible for a disproportionate number of extrajudicial killings, intimidation of journalists and censorship of violent events. In Colombia, international and national policymakers, NGOs and citizens recognise local radio stations’ contributions to peace. The earliest examples of community radio networks supported by USAID, the EU and UNESCO, include Popular Cultural Action (ACPO). ACPO plays a role in educating rural communities and enabling them to have a voice on the aforementioned root causes of conflict in Colombia. Understanding how best to address these issues in the future remains a critical challenge for transitional justice policy. To build Positive Peace in the nation, local voices must be heard. Organisations such as the Colombian Federation of Journalists and the Communication System for Peace (SIPAZ) today help to network local media projects and to ensure funding is directed to them. Funding is particularly critical given Colombia’s highly monopolised media context. According to RSF, small scale media projects have to compete for audience interest against more lucrative, pervasive media conglomerates and their ties to political and economic elites. In August 2018, President Iván Duque, leader of the far-right Democratic Centre Party succeeded Santos. Duque opposed the peace agreement and its approach to transitional justice, vowing to renegotiate the agreement and prioritise justice for victims if elected. Ironically, it is victim’s voices that have been silenced in the process – the majority of peace agreement ‘yes’ voters are located in areas where the conflict has caused the most devastation. Duque’s campaign attracted voters from urban areas, but many rural voters lacked access to information on Duque’s political objectives or a medium through which to voice their concerns. The link between access to information and peace is clear. Educational and talkback programmes on community radio stations have, and continue to be, significant platforms. Rural consumers can access information, have an opinion on political and justice processes and hold Duque’s government to account in the post-peace agreement phase.Evidently, these rural radio stations are key to peace because they are located where the majority of violence takes place, where international and even urban Colombian journalists rarely travel and where local people truly know and understand the causes and impact of conflict on their communities. This does not need to be a complex process. Rural communities have already laid the groundwork. They need recognition and support. Recognition that what they do makes a difference and support in one of the most hostile contexts in the world.